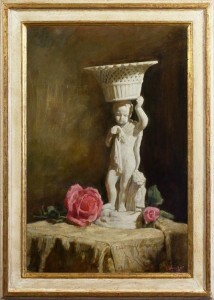 Mark Mitchell includes in his collection of works by contemporary artists a number of paintings by George Weissbort. 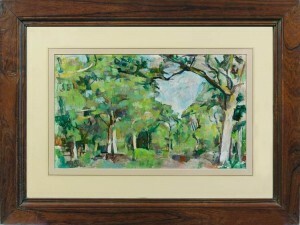 Sadly, Weissbort died in 2013; he had been born in Belgium in 1928, and had moved to London in the early Thirties, as a child of 7. 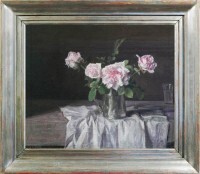 He was trained at what is now Central St Martin’s University of the Arts, and his tutors included artists of the reputation of Ruskin Spear and Rodrigo Moynihan. 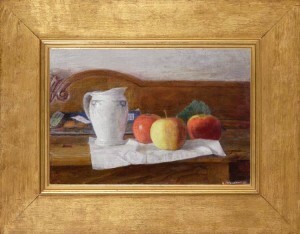 Weissbort’s artistic education moved backwards chronologically, from the abstract expressionism of his student days to realism, and progressively back through art history, from the fauvism of Matisse and the avant-garde classicism of Cézanne, by way of Corot and Chardin to Vermeer, Velásquez, Holbein, Titian and Piero della Francesca. 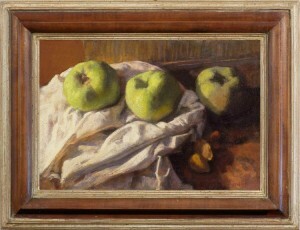 Many echoes of these artists’ works can be discerned in his own, faintly or more overtly – particularly the influence of Cézanne and Velásquez. 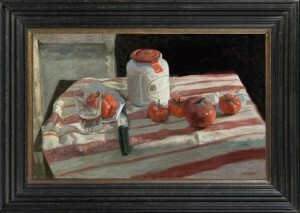 However, Weissbort’s paintings always remake their models in contemporary terms, and often whatever influence survives appears in the geometry of a composition, or the brushwork used to render form and volume. 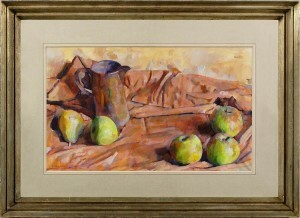 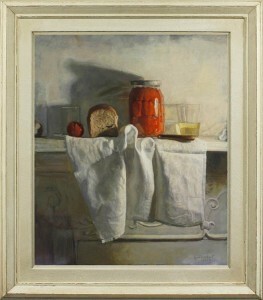 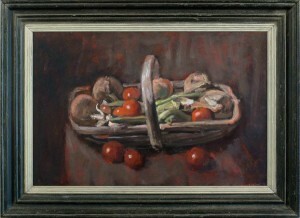 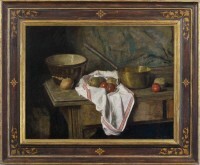 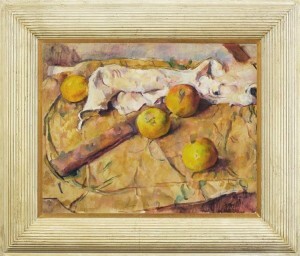 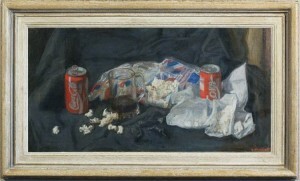 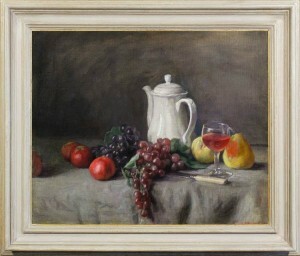 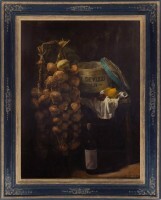 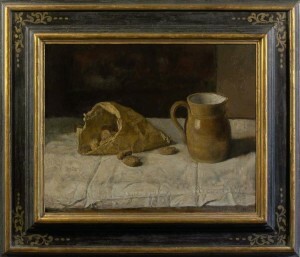 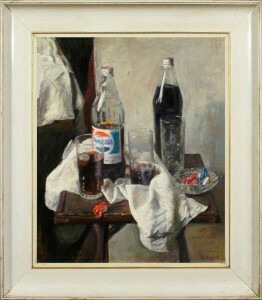 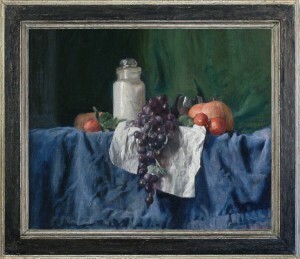 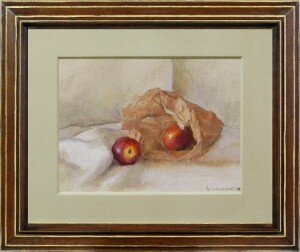 Mark includes both watercolour and oil paintings by George Weissbort in his collection; both types of medium were used by him with equal facility, and it is even possible to mistake a still life in watercolour, such as Arrangement with apples and pears and a glazed jug, for an oil painting. 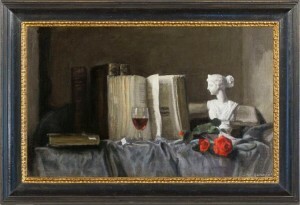 He was an artist who intellectualized the painting process, and he produced a number of essays both on technique and on the appreciation of painting. 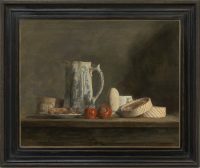 He saw the execution and the comprehension of a picture as equally dependent on the trained eye, so that it was as incumbent on the connoisseur and collector of art to train his perception as it was on the artist.